Up to 12,980 pounds of various weapons on underwing pylons. Performance Max Speed: 1,485 mph (Mach 2.25) @ 40,000 ft.
Spewing blue-white flames, the F-4D Phantom thunders by and performs an ace’s victory roll. This is not Vietnam, but it could be your air show. It is a description of the Vietnam Memorial Flight–what millions of airshow attendees have delighted in seeing since August 1999. 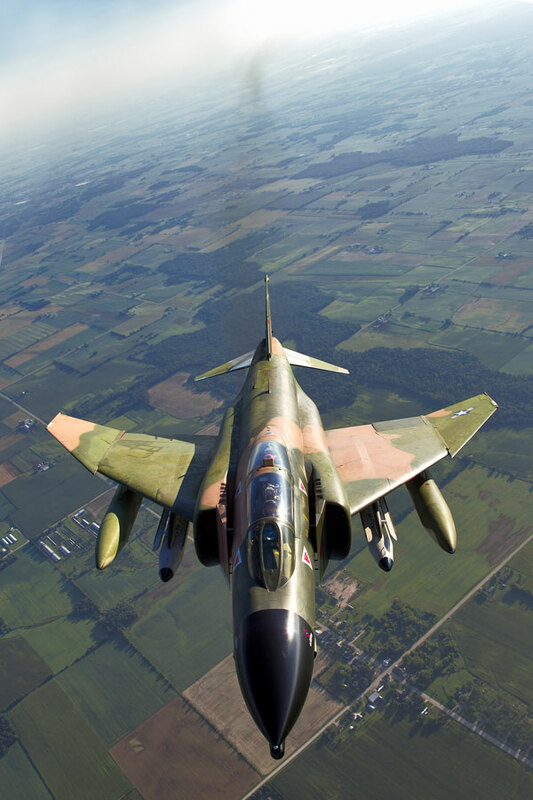 Soon after introduction into service, the F-4 was quickly swept away from the glory of record-breaking flights and was thrust into combat in Southeast Asia. 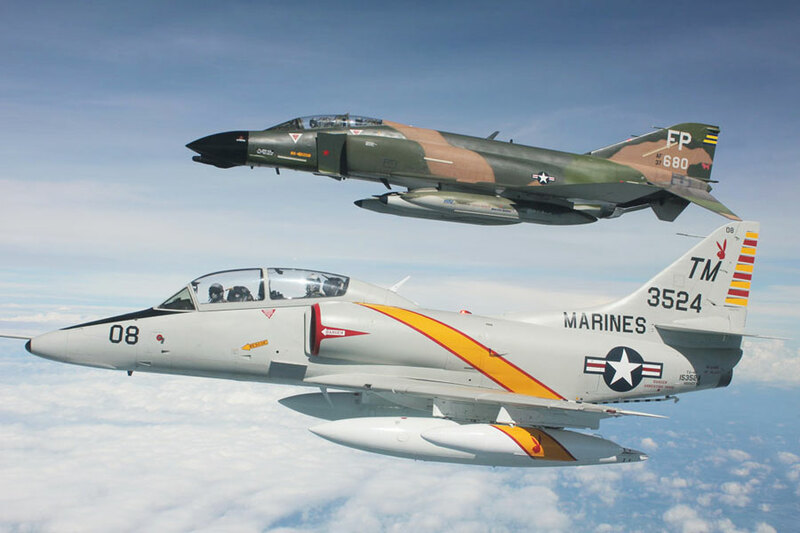 During the Vietnam War, the Phantom was successful at bombing enemy positions, dog-fighting with North Vietnamese MIG’s, and providing close-air-to-ground support for the troops. 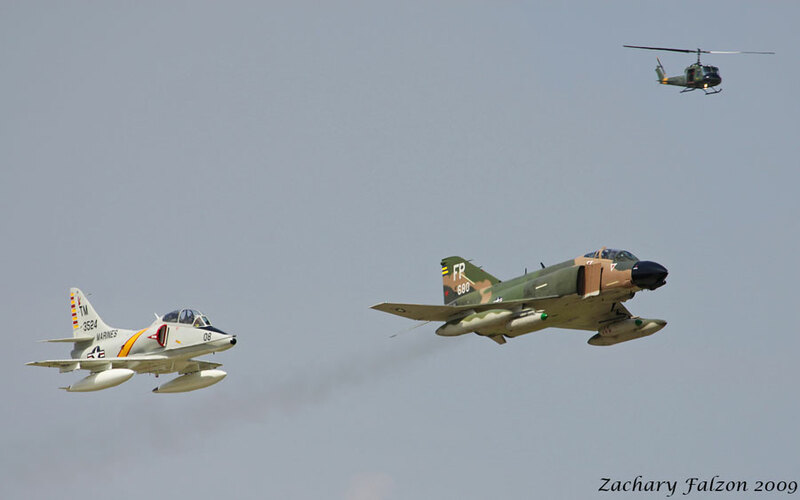 While the war generated many notable F-4 crews, one of the most celebrated was the partnership between Captain Steve Ritchie and Captain Charles DeBellevue–who succeeded in shooting down five MIG 21’s together. This accomplishment made Ritchie the only US Air Force pilot-ace during the entire Vietnam conflict. 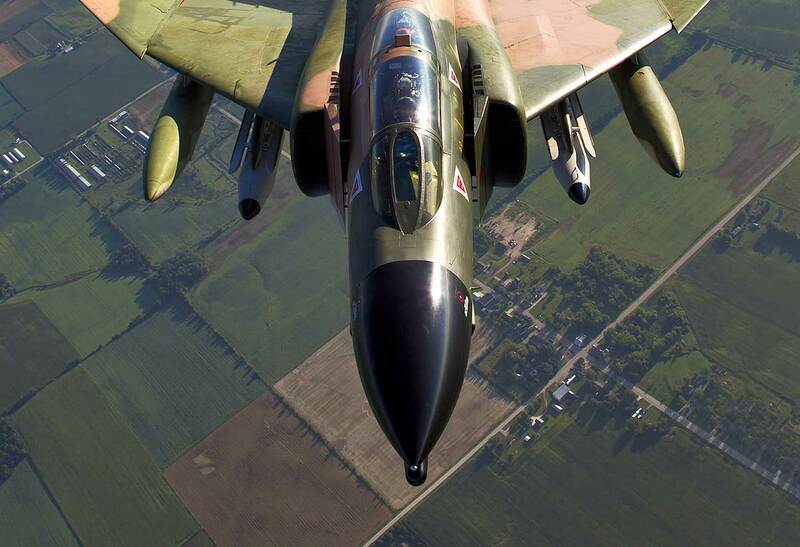 After Vietnam, the F-4’s continued to serve with the US military forces around the world. 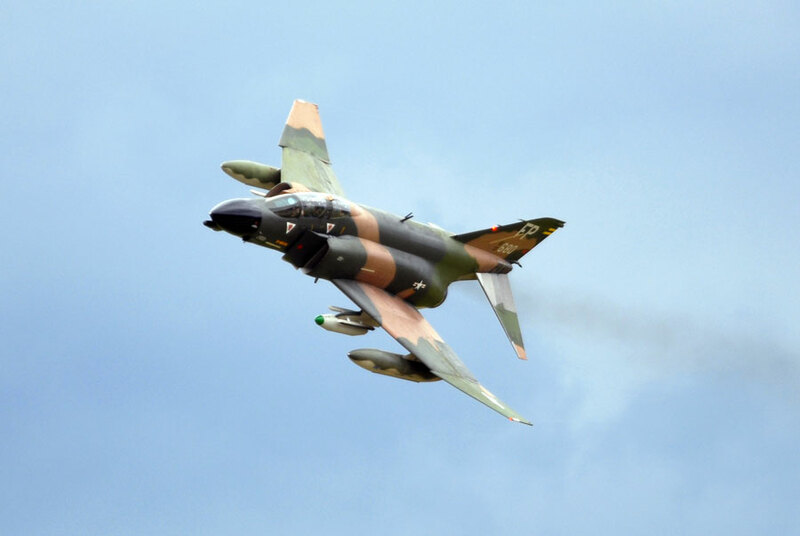 The next major conflict involving the F-4 was Operation Desert Storm, where Air Force “Wild Weasel” Phantoms participated in carrying out strategic strikes against Iraqi military installations. 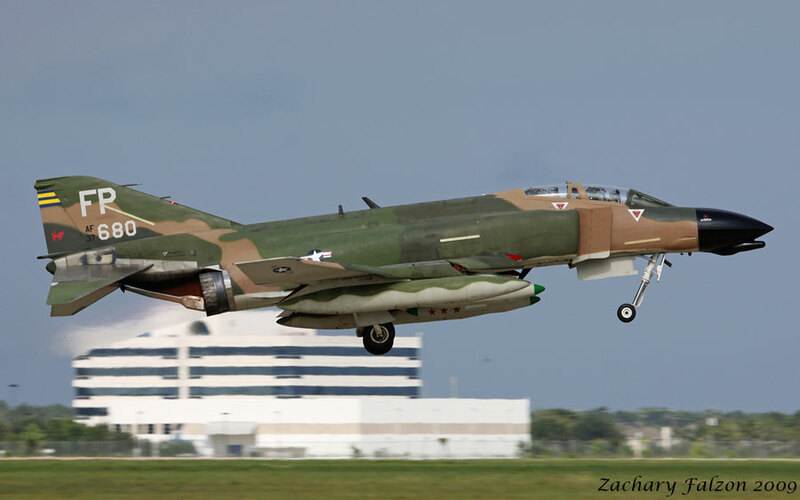 Finally, in 1996 (nearly forty years after its inception), the F-4 was retired from the Air Force–the last branch to use the aircraft. This retirement threatened to end the chance for people to see an aircraft in flight that contributed so much to the history of our country. However, the Collings Foundation of Stow, and the Vietnam Memorial Flight prevents that tragedy from occurring. 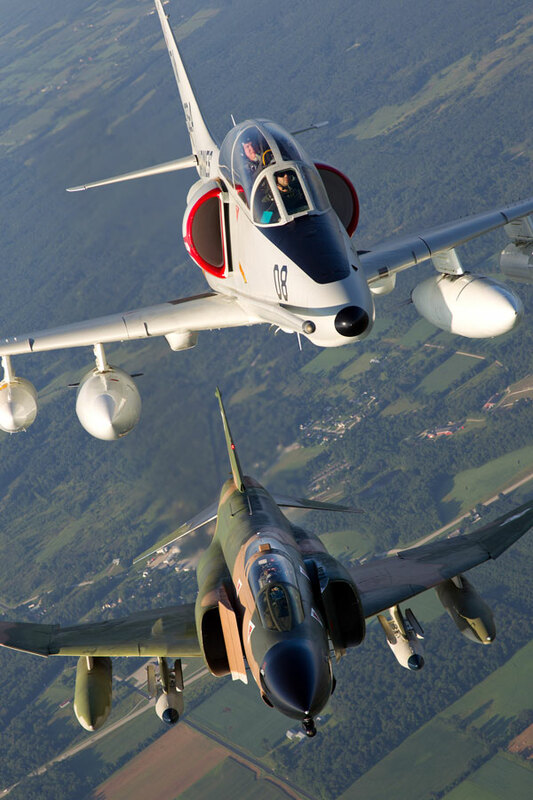 Five years ago, foreign warbird jets were starting to emerge as the powerful force in the future of vintage aviation. However, major legal obstacles were encountered when individuals made efforts to acquire non-demiled (demiled combat jets are not flight-worthy) US-built combat jets in America or from abroad. Despite these obstacles, the Collings Foundation decided that it was going to try to acquire and restore a Phantom for flight exhibition. 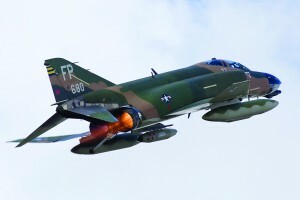 Accordingly, it took an act of Congress by means of an amendment to the Defense Authorization Bill of 1999 to allow the Collings Foundation to acquire its F-4 Phantom. Available Phantoms that were stored at Davis Monthan AFB had baked in the hot Arizona sun for over nine years. 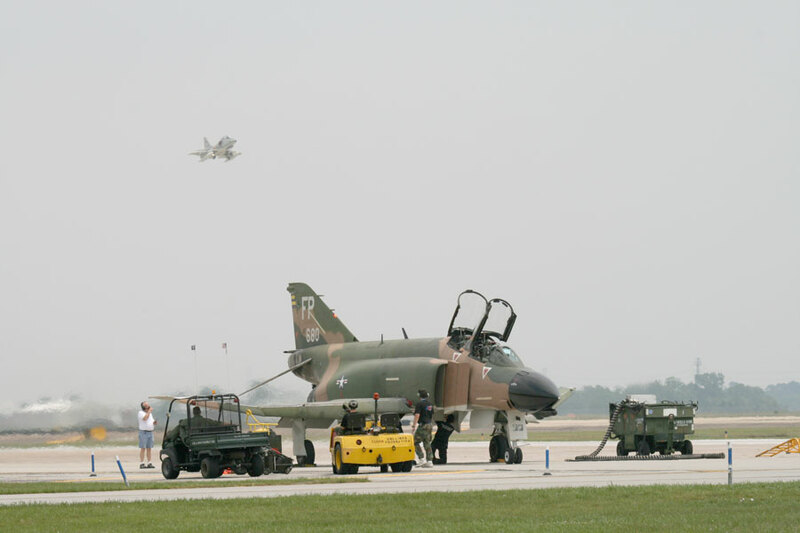 To make the situation worse, the F-4’s had been operated under highly demanding and stressful conditions for decades, such use had taken its toll. In order to rectify problems encountered from two conditions, a lot of work was undertaken to make the old warrior airworthy. The major 600 hour inspection was conducted, engines were replaced with zero-time units, avionics upgraded, hydraulic systems and components were overhauled, structural items tested and repaired, ejection seats located, and much more. 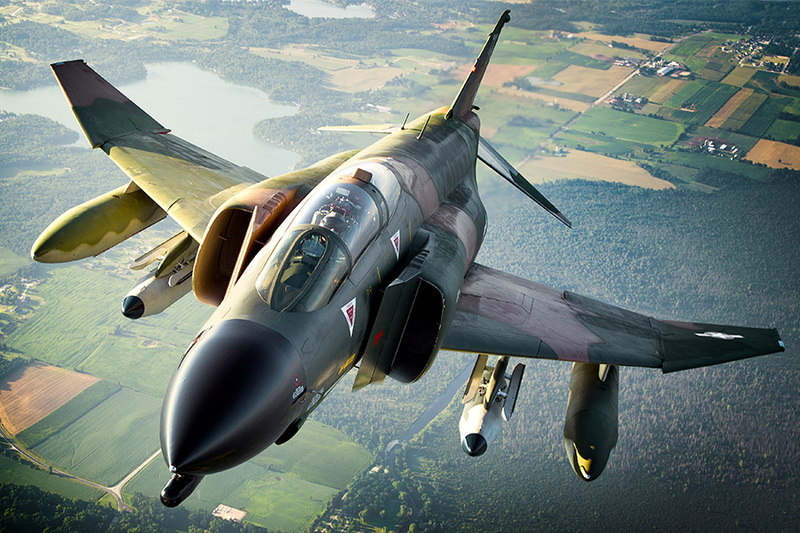 After thousands of hours of labor, the Collings F-4 took to the sky in August of 1999. 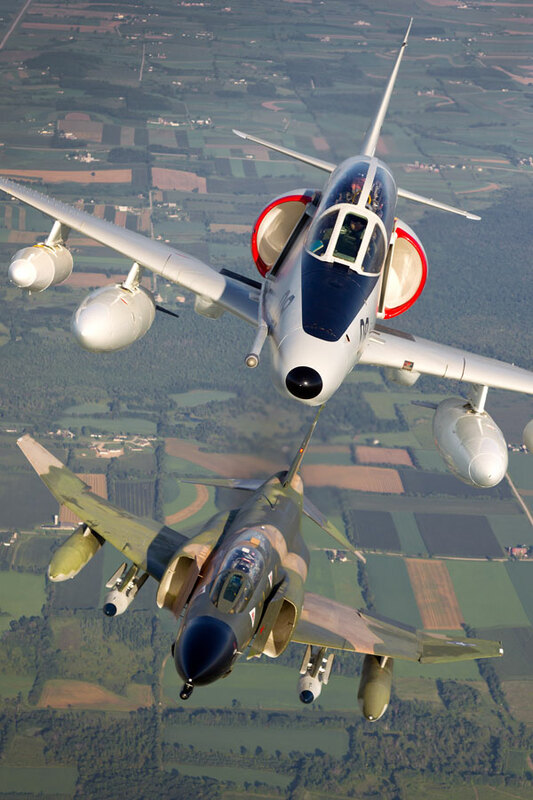 Considering that hundreds of thousands of servicemen flew, maintained, and supported the Phantom and that countless others benefited from its close support in its forty-year life-service span, interest in the aircraft is. Currently, the plane soars across America for displays around the country–helping to educate a nation about its past history.